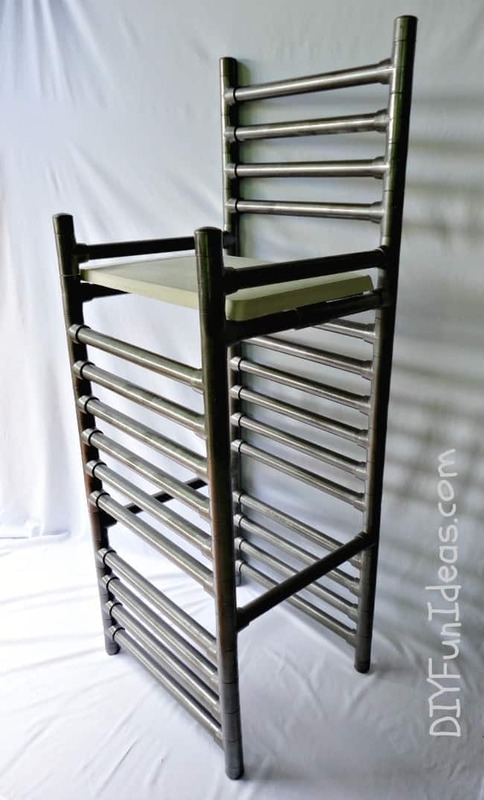 If you are looking to build your own barstool or if you want to upgrade something you have laying around, this is for you! These awesome tips and tricks help you make your own stool in no time. Jamison at Rogue Engineer made some awesome budget friendly stools. They turned out really cool and would be a perfect project for a beginner. 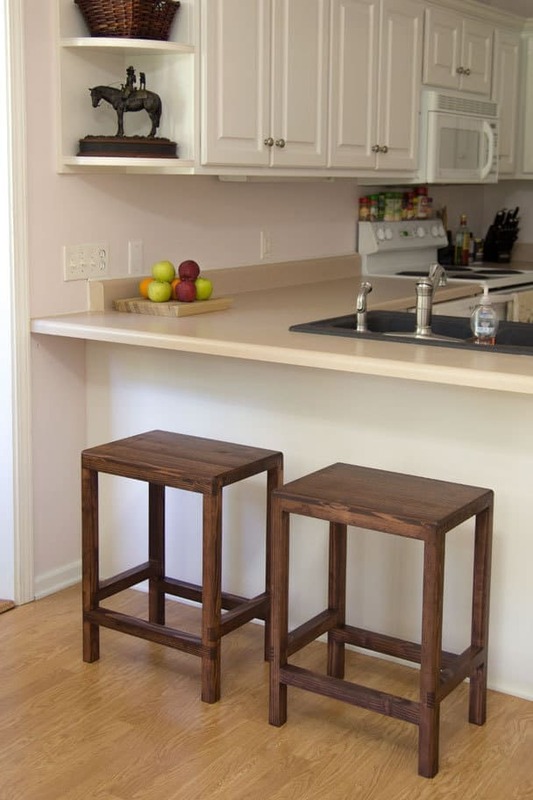 Try your hand at making these easy stools. 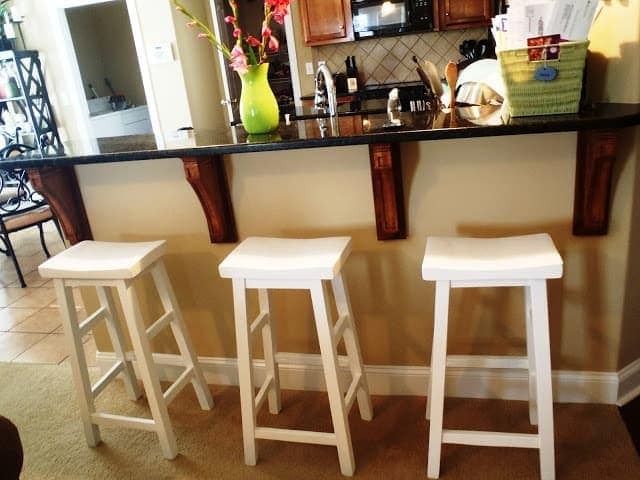 Remodelaholic was inspired by better homes and gardens to make her own bar stools. The finished bar stools turned out great. The metal accent just gives it a pop. See how they did it. Sawdust Sisters made an awesome set of farmhouse style barstools without any plans. She just made it up and based it off of a past project she did. The stools turned out fantastic and she only used 2×4’s. . Make your own set. Jay’s Custom Creations wanted to make something using only 2×4’s so he came up with these barstools. They turned out awesome and they were very inexpensive to make. Build your own. DIY Pete was inspired to make some stools to go with his outdoor patio. The stools are simple and beautiful. Watch his video and step-by-step tutorial here. 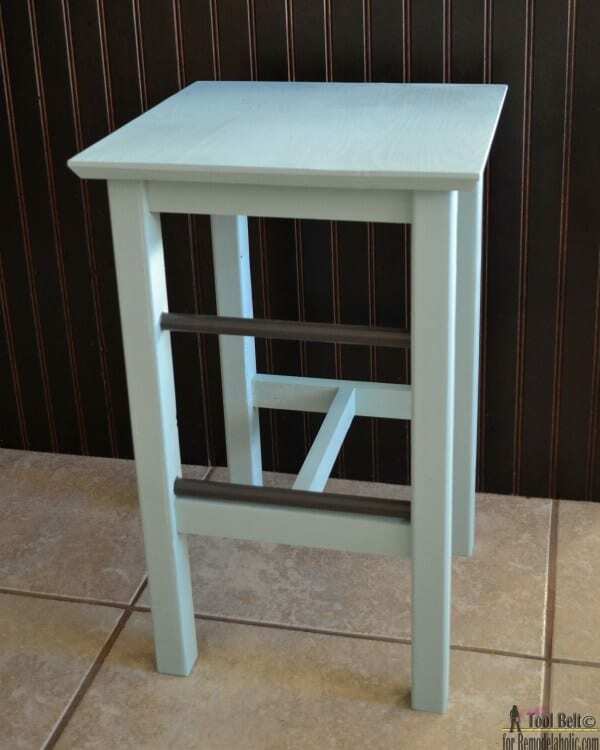 Amanda at A Crafted Passion shares how she upcycled a plain barstool and turned it into a gorgeous piece of furniture. 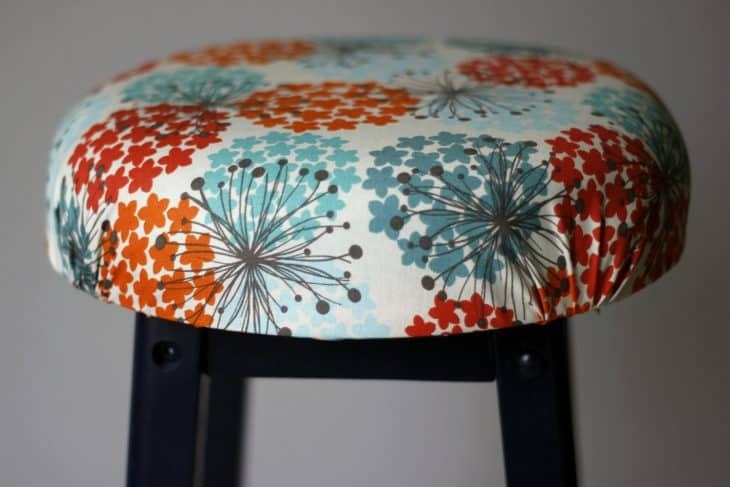 Add a splash of color and transform any room with this easy stool makeover. See how she did it. Lazy Liz On Less wanted to make some stools that wouldn’t break the bank. They look so good painted white. They are great because you can always personalize them to look good in your space. Check out how to make your own. Yoga By Candace wanted to find some bar stools for her and couldn’t find anything that was worth the price so she made her own. These modern and industrial stools look awesome and are functional too. Full tutorial here. 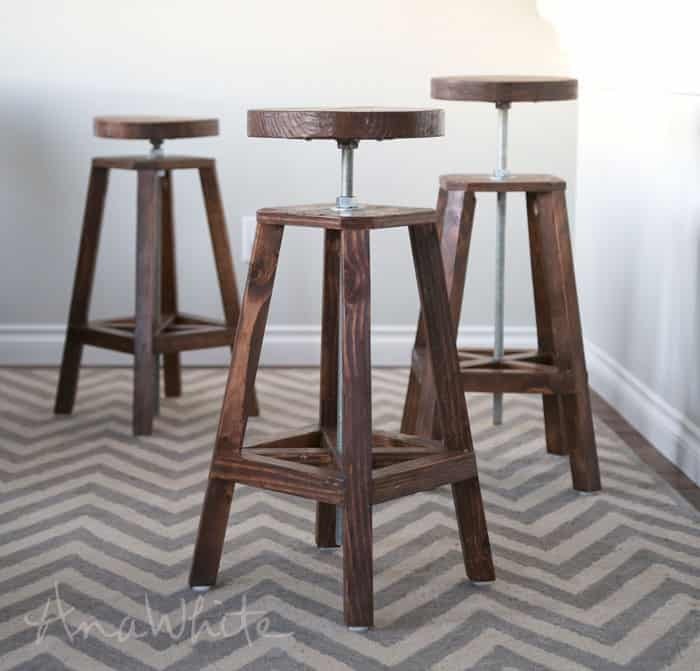 Ana at Ana White provides a detailed tutorial on how to make these industrial style stools. They are so modern and cool and would update your living space. See how she did it. Do It Yourself Fun Ideas loves to do projects that involve cement. She decided to try making these stools with a concrete seat and pvc pipe legs. They turned out so awesome. 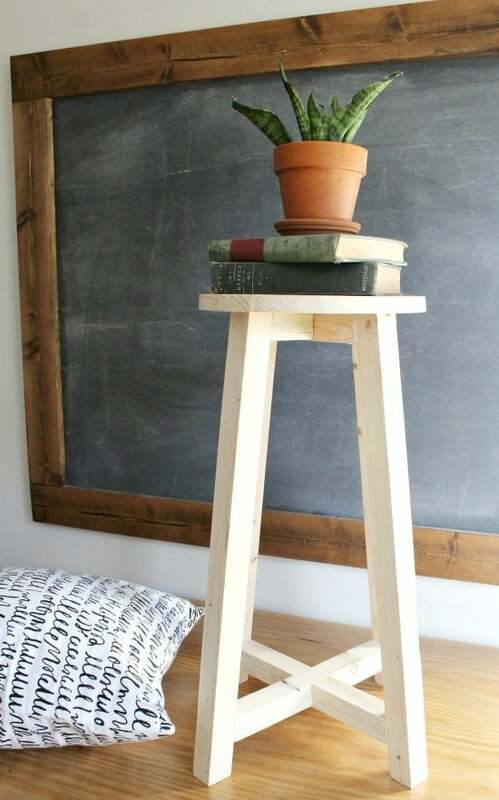 Make your own extraordinary stools. 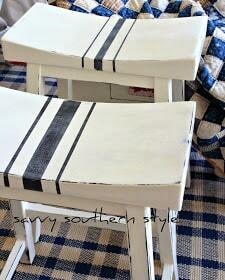 Over at Savvy Southern Style they wanted to update some plain and boring stools to give them life again. 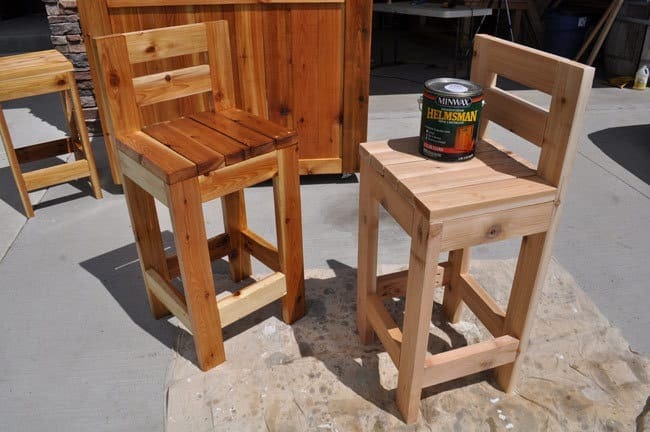 He did some painting, distressing and a few other steps and created a pair beautiful bar stools. Find out how. Heidi at Honeybear Lane had some old stools that weren’t stylish at all and knew they needed a facelift. She painted them and dipped them in gold to add some extra character to her daughter’s bedroom. They turned out wonderful. 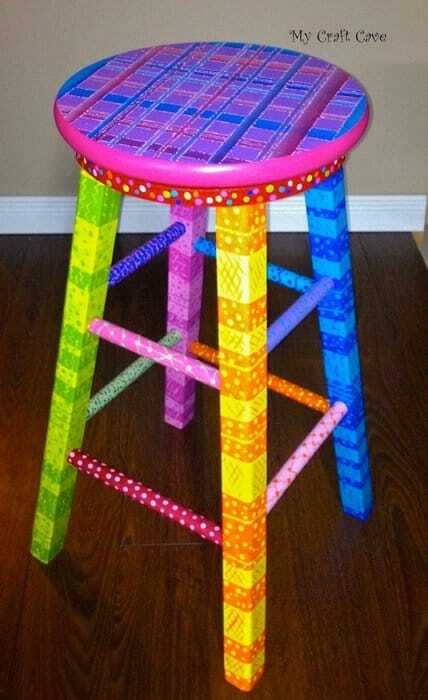 DIY Barstools. Remodelo la Casa remodeled their kitchen and knew their old stools needed some flair. So they updated them and they turned out looking industrial and rustic. Check out what they did. 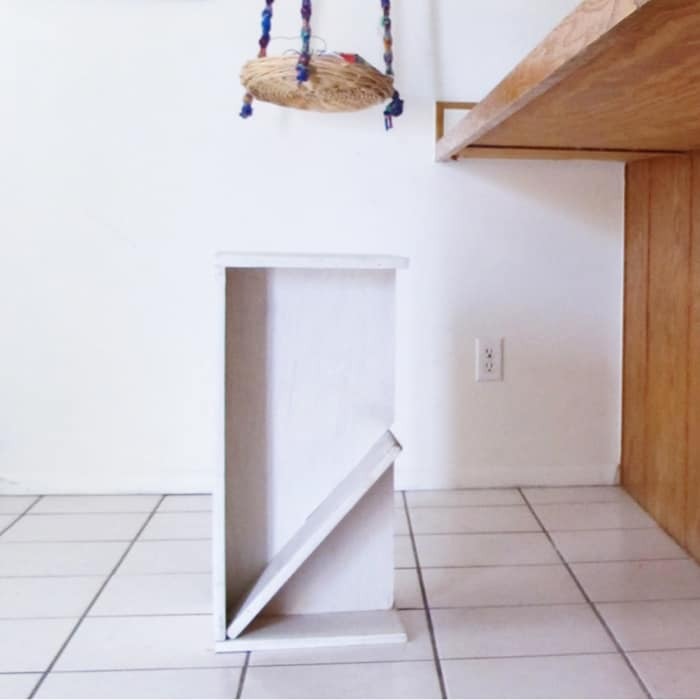 Ohoh Blog was inspired by an old bookshelf they found in the alley one day. They got creative and decided to turn it into a barstool. You can get as creative as you want to make these. Give it a try. 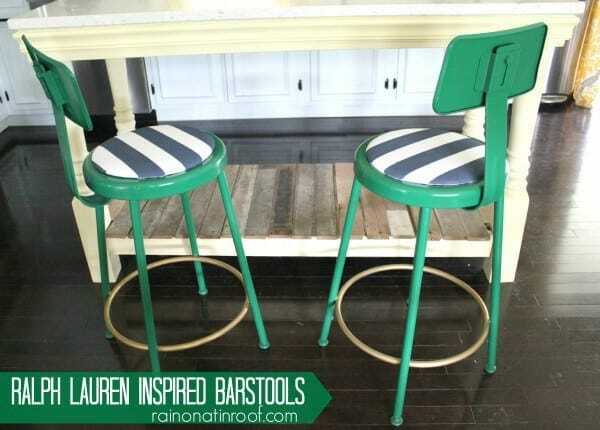 Shara at Pretty Handy Girl made some really easy bar stools in just 5 steps. They turned out sleek and stylish. 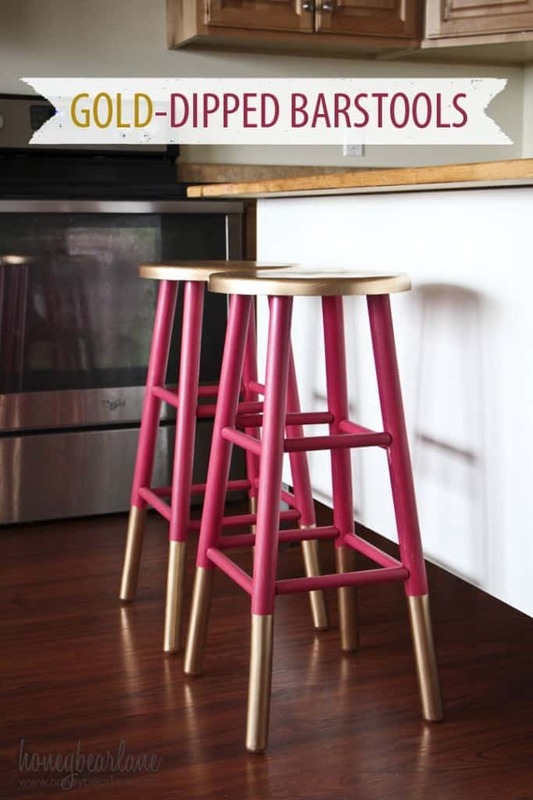 Update your space by making these cool stools. Tanya at TwelveOeight saw a lot of potential in a simple stool she already had. She transformed the appearance with some paint and a few other supplies. 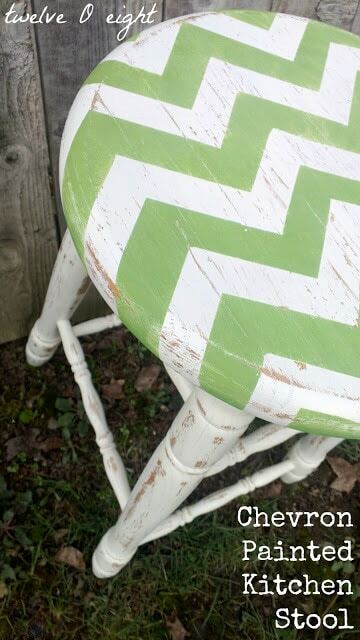 What she ended up with was a gorgeous chevron distressed stool. Go here for the complete tutorial. 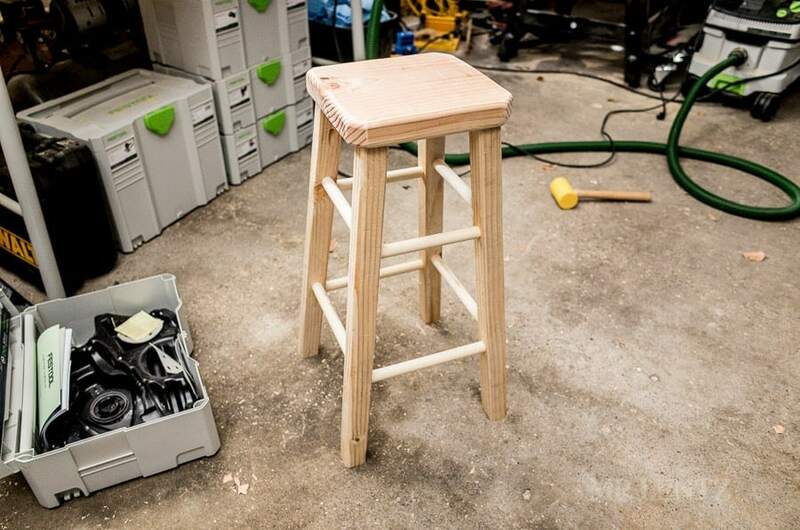 Instructables shares a detailed step-by-step guide on how you can take an ordinary stool and give it a swivel top. They went with some fun and playful colors and it turned out awesome. Make your own. Rain on a Tin Roof wanted to have some contrasting color in her living room and got to work making some really cool barstools. She used Ralph Lauren as inspiration and did a wonderful job. See how she did it. 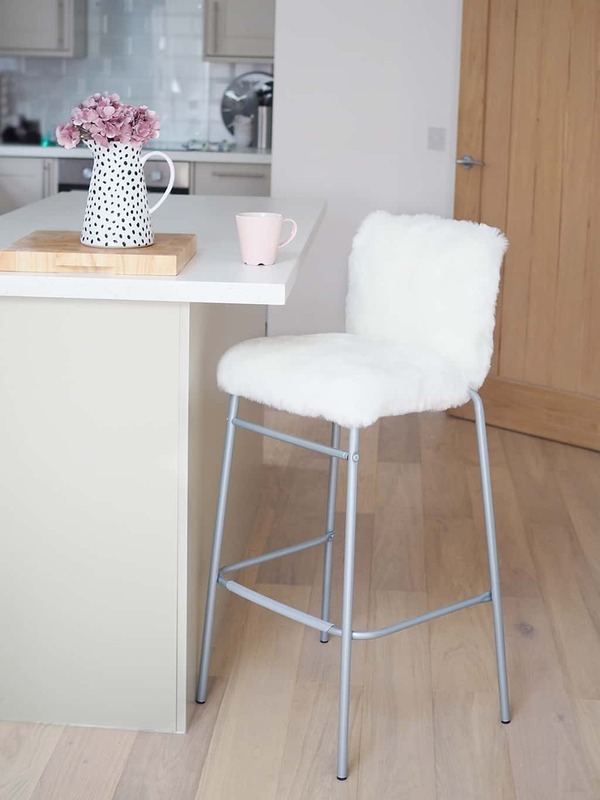 Over at Bang On Style, they share how they made an easy DIY faux fur barstool with only 8 steps. They turned out beautiful and look so comfortable. 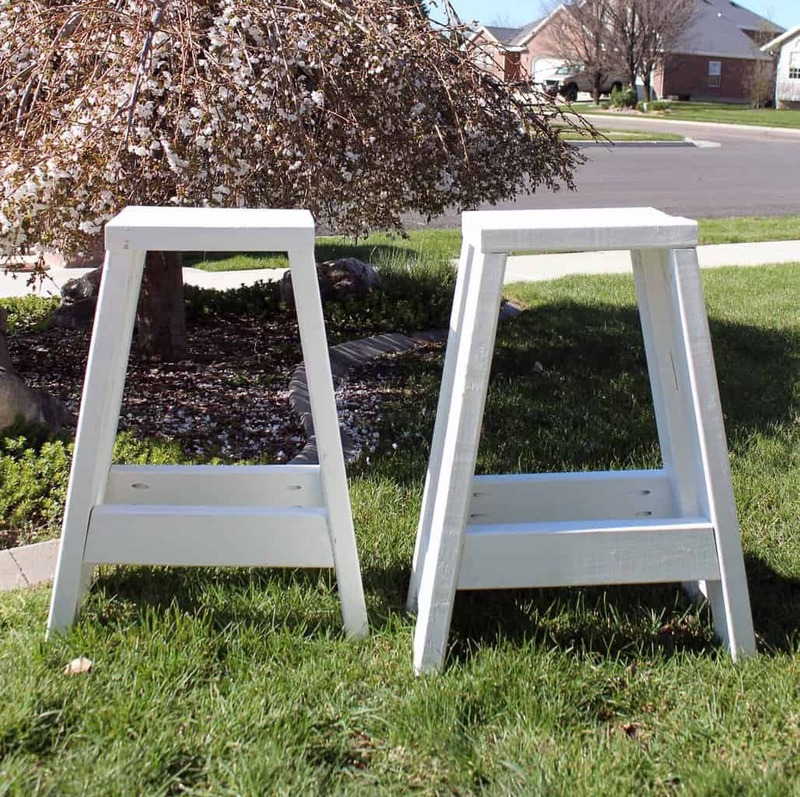 Mr. Lentz gives a 3 part tutorial on how he made these DIY barstools. It turned out great. You can personalize it with any stain or color you choose. See the complete 3 part tutorial. Crafted to Create shows us how they took an outdated stool and gave it an industrial makeover. The end result is awesome. 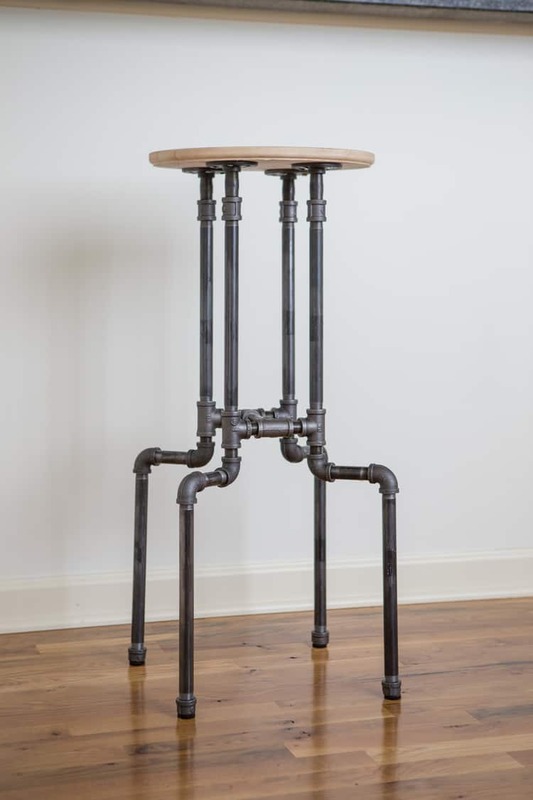 You can make these modern industrial stools too. 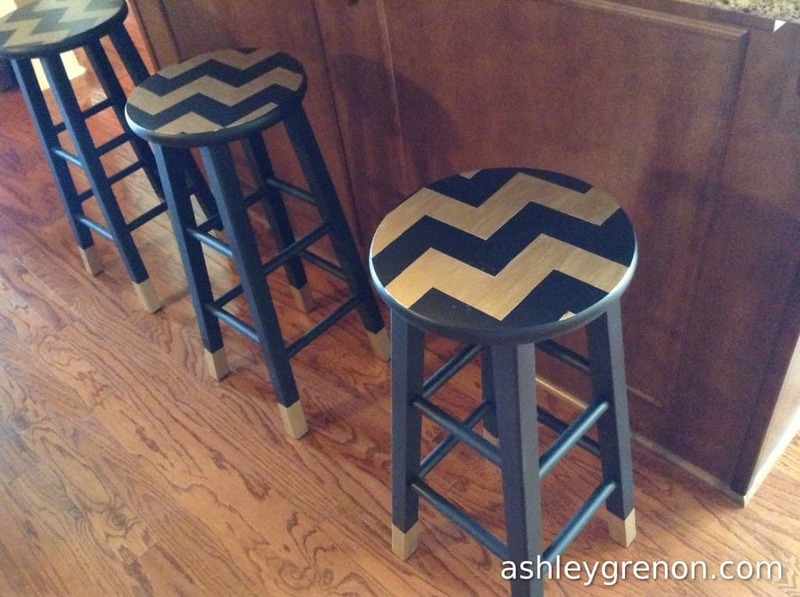 Handmade with Ashley puts her own spin on some gorgeous wooden stools. 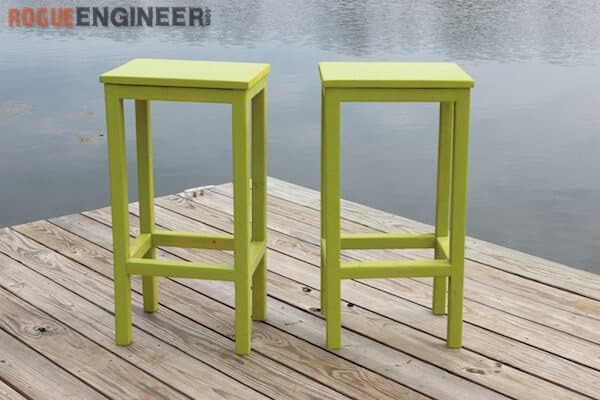 These stools are so simple to replicate. The chevron pattern and the wood result in a fantastic piece of furniture. Check out the step-by-step guide. 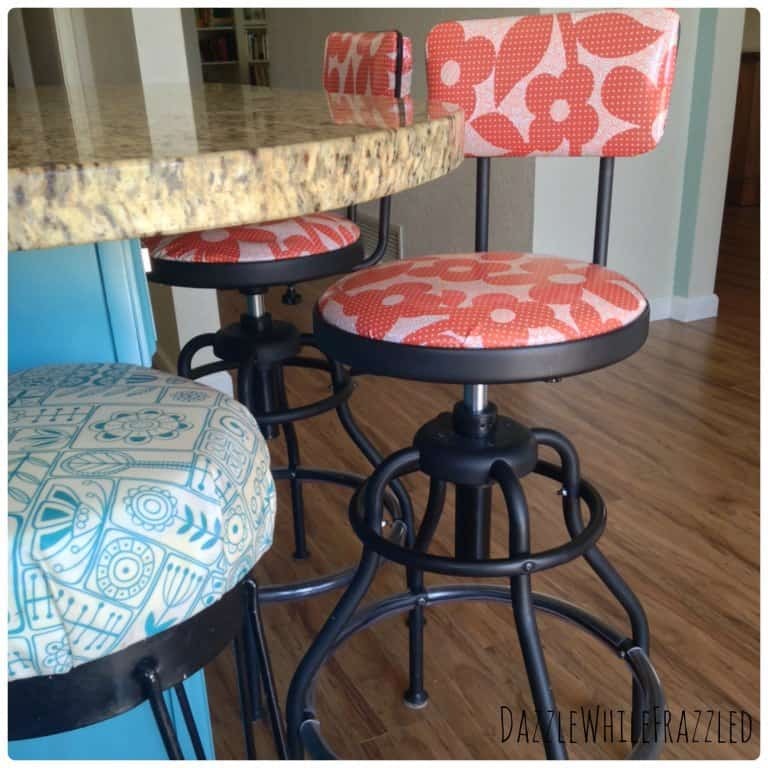 Dazzle While Frazzled added some fabric and padding and completely transformed the simple barstool she had. They did a fantastic job of coloring and style. The best part is how easy it was! Update your home with this gorgeous stool. Christine at Where The Smiles Have Been shows off her very first furniture DIY remodel project. They turned out beautiful! 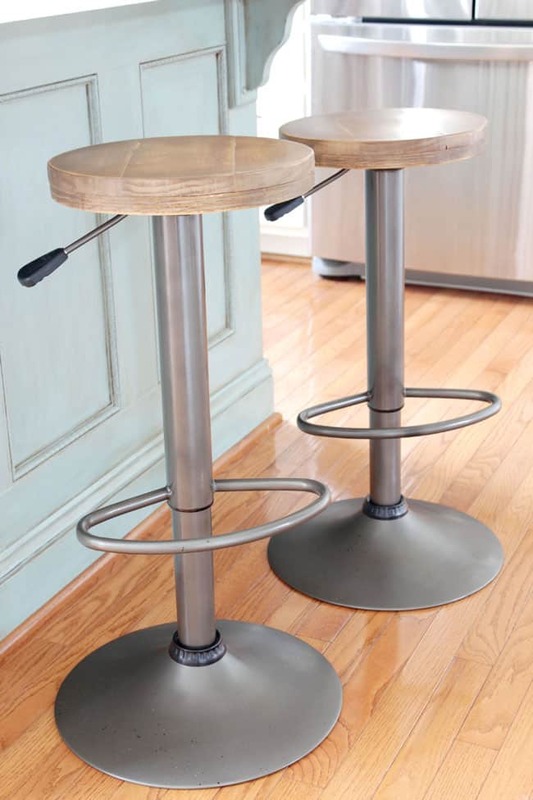 These bronze barstools are timeless and would liven up any room. Full tutorial here. Cassidy at Things Like Skeleton Keys was inspired by watching her favorite television show. 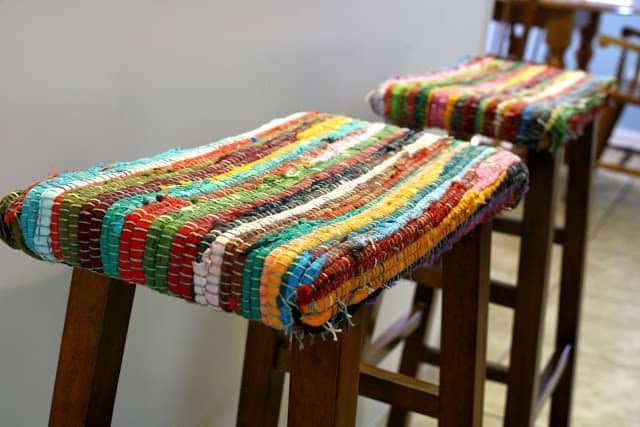 She decided to use a rag rug and give her stool an updated look. It turned out cool and unique. Make your own unique stool. No matter what your style is there is a stool that will fit your space perfectly. 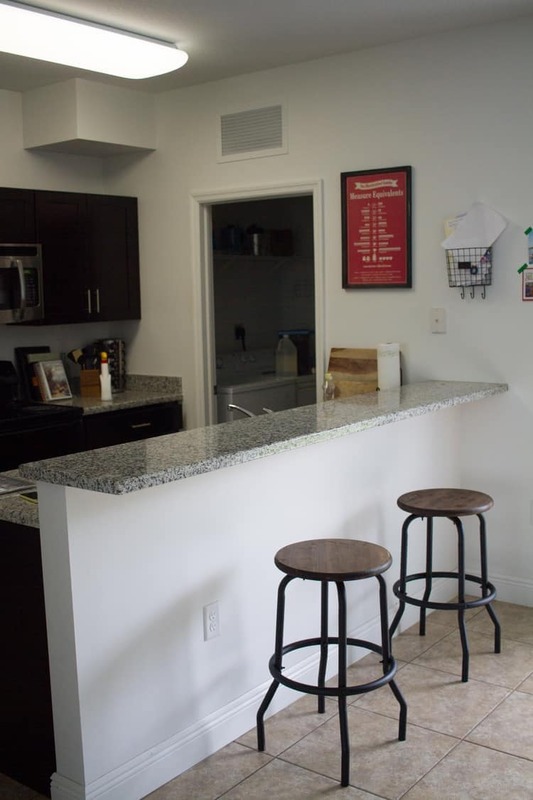 I hope you got some inspiration to start making your own bar stools.